Florida is a “No-Fault” state, which means that drivers are required to have car insurance that includes Personal Injury Protection (PIP) benefits. When an insured driver is involved in an accident, the PIP portion of the policy will pay for the medical expenses and specific non-medical related costs no matter who was “at-fault” for the accident.While it is beneficial to have insurance available should you be involved in an accident, an insurance company may delay payment, offer too little compensation, or even deny your claim.Justin Weinstein is an experienced personal injury protection lawyer who is dedicated to fighting for the rights of accident victims as well as the medical providers that treat accident victims. If you are a medical provider that treats car accident victims, contact Weinstein Legal for a free consultation.If you were hurt in a car wreck and have been unsuccessful in obtaining the compensation you deserve, contact Weinstein Legal for a free consultation. We’re in your corner and ready to fight for your rights.Contact us online now or call 954-845-0505 to speak with an attorney at a PIP law firm. Florida law requires drivers to have a minimum coverage for PIP and property damage liability. As long as you have a valid Florida license plate, you must carry $10,000 in PIP benefits and $10,000 in property damage liability insurance. WHAT IS COVERED UNDER PIP INSURANCE? PIP insurance covers you no matter if you or someone else was at fault. 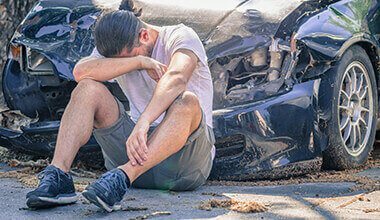 A PIP insurance policy will also cover any members of your household who were in the accident, vehicle passengers, and others involved in the accident. If you are a passenger, a bicyclist or a pedestrian, and are hurt in a crash, you will also be covered under PIP benefits.The benefits cover up to $10,000 in medical expenses incurred after the accident. Bodily injury liability coverage will extend to serious injuries or death to others in an accident. The insurance company will pay for injuries up to the limits of your policy. Medical coverage under bodily injury can include the cost of treatment, disability benefits as a result of time lost at work, and death benefits in the case of a wrongful death. Property damage will include damages caused to other people’s property in an accident involving a motor vehicle. This may include damages to another vehicle, motorcycle, or personal property.